One fat man from Vegas could never be so lucky lol! And, I notice I forgot to put it in the info above - but thanks for the hook-up. Oh the horror of it. He is the comic book store guy! Oddly enough one of my long term goals is to open up a small shop. I'm hoping to do it within the next 5 years. Time will tell, but I've wanted to do this for quite some time. I need to work on the logistics of it. Awesome. So where are you getting all of these comics? Is this an expensive habit? Or are they available digitally for near nothing? I get them the same place you get your library of music and for the same price. I then put them on my Kindle Fire and read them through a program called Comicat. (Though, you should be able to read on a computer as well). I think I've got the entire DC New 52 thus far and all of the Marvel Now titles as well. Spiderman 1-700 and other random stuff that I might decide I want to read at some point. I do purchase certain comics that I really like and wish to follow but not really a whole lot of them. Interesting. I might have to look into that. "Hey, how's it goin? Anyway, I was just thinking about an awesome comic book. Spiderman versus the Hulk. If they fought, who do you think would win? Anyway. 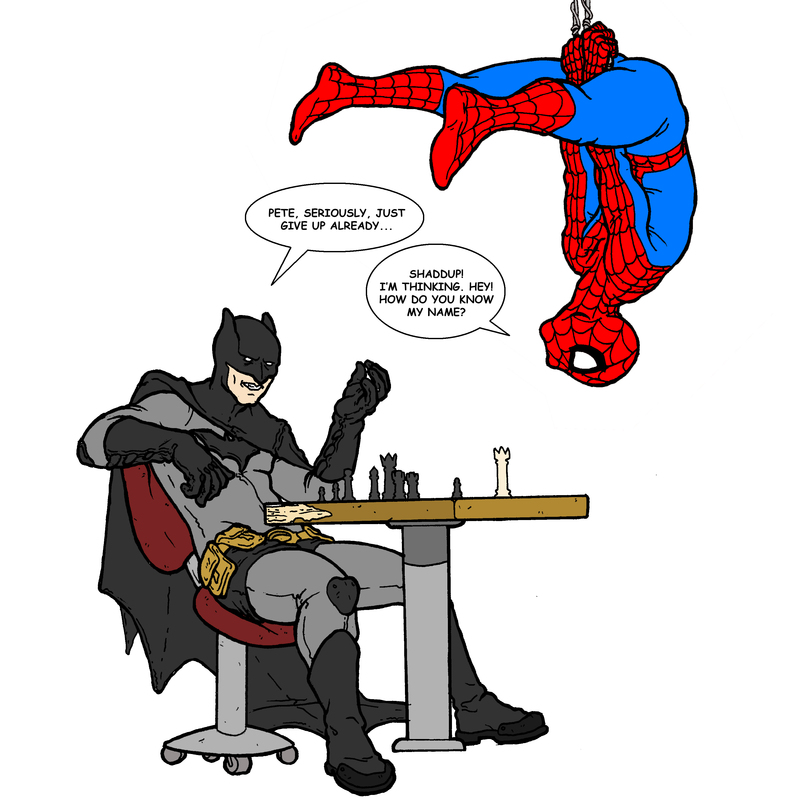 Or how about Spiderman versus Batman? I think Spiderman would win because he's faster and really, isn't Batman just a goof with a gadget suit? There's more to it but I'm your machine always cuts me off. Anyway, talk to you soon. I'm going to get some tacos." I do this with "however "
I generally delete a lot of howevers over the course of a post.